Wingaersheek Beach! Located in the private section of Wingaersheek Beach on Cape Ann in Gloucester Massachusetts. Enjoy peaceful Sleepy Hollow Pond views from the house and deck. Fabulous spot to take in the natural setting and spending time on private Coffin’s Beach. 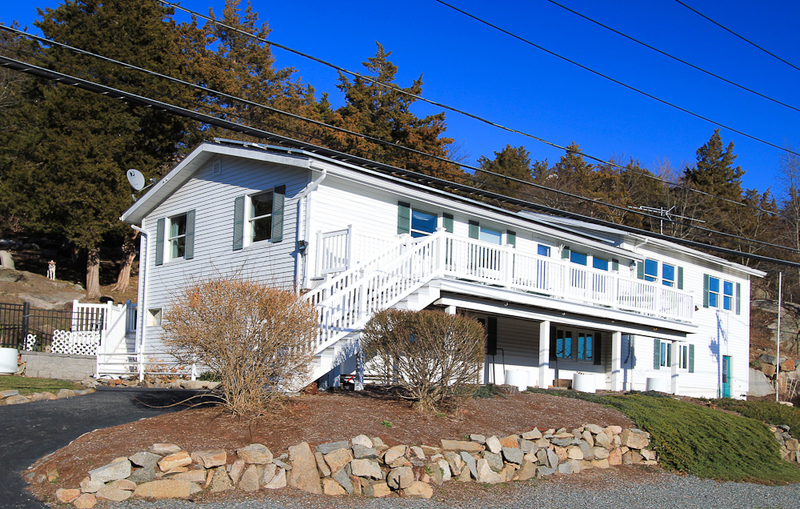 This home is part of Davis Beach Association and there is a parking area for the beach for members of this association. Live in this home as a two family or single family. The top level has an open floor plan with a large living room. The eat in kitchen has additional room for a seating area. There are stunning cork floors. One of the two bedrooms on this floor has a spacious walk in closet that was once another bedroom. The lower level and what would be a second unit or family room is at ground level so it is a walk out. There is a large room with a wood stove and the second kitchen and spacious bath. Two car garage, solar panels, and a generator hook up are additional features. Fabulous opportunity to own a vacation home or use as a primary residence. Being a rare two family there are options that other homes don’t have. See the photo slide show below. Contact us if you have an interest or questions. John & Cindy Farrell 978-468-9576. Sign up for our newsletter for information about our listings. See what homes are for sale on the North Shore.